The kit includes: 1 HealthmateForever Plus6AB device, 4 piece self-adhesive conductive reusable gel pads, 2 sets of electrode wires, 1 USB Charger/Wall Unit, 1 pads holder, Operating Manual, Lifetime Warranty Card. Easy to read animated backlit LCD Display. 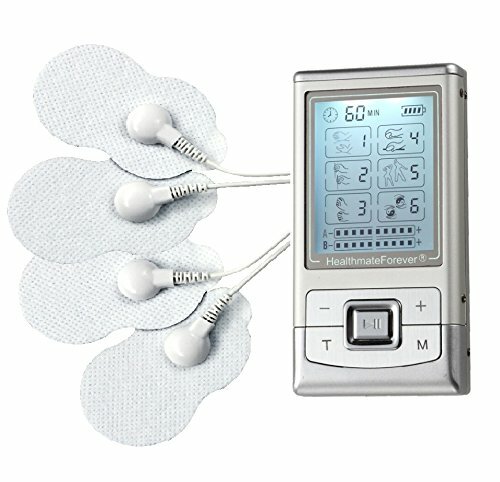 The kit includes: 1 HealthmateForever Plus6AB device, 4 piece self-adhesive conductive reusable gel pads, 2 sets of electrode wires, 1 USB Charger/Wall Unit, 1 pads holder, Operating Manual, Lifetime Warranty Card.